The sanctuary's most admired villa with wide water views, supreme privacy and exceptional appointments throughout. Superbly designed for todays lifestyle, you will find an open room concept with fully pocketing sliders that vanish revealing an expansive lanai and pool area along with an outdoor kitchen and warming gas fire-pit. The grand salon with its state of the art kitchen finished in cherry cabinetry and neutral toned marble countertops with a double ogee edge will please the most discerning of chefs. The master suite is located on the first level and is highlighted by his and hers baths finished in carrera marble and two large dressing rooms. On the first level you will also find an office which can be used as an additional bedroom with beautiful builtins. There is a beautiful casita across the courtyard with its own bath and morning kitchen. Large 2 1/2 car garage and mechanical closet. Access to the upstairs is easy with your private elevator and the views from the veranda are stunning. Meticulous attention to detail was made with this superior home in the sanctuary. As you step into the courtyard entry your eyes are drawn to a peaceful water fountain designed by a fine italian craftsman. The sense of serenity continues as you make your way to the living area. 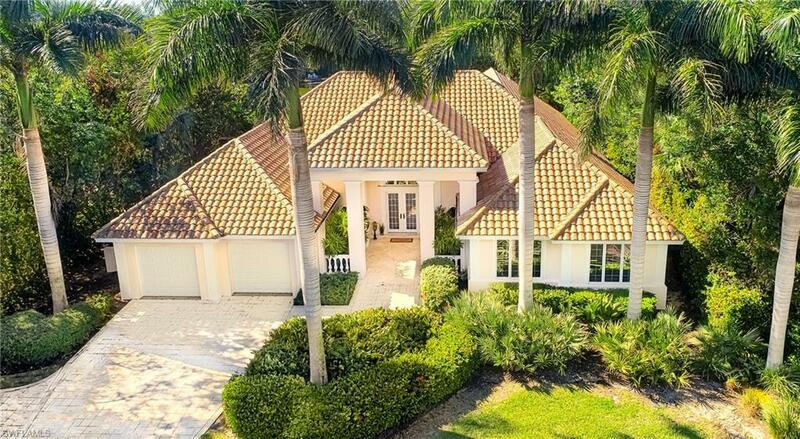 High volume ceilings, designer lighting, solid wood doors and custom millwork, pewter fixtures, and coquina rock fireplace are just a few of the notable features of this 4 bedroom 4 bathroom and 2 half bath home. All bedrooms are ensuite. The kitchen was built for a chef with top of the line appliances, granite counters, large pantry and courtyard views while cooking and features a large frameless window that looks exclusively at the lovely patio and fountain area which is lit at night! Outside the details continue with stone floors, gorgeous pool area with 2 fountains, a jacuzzi, dcs grill and a pool bath for convenience. All of this in a setting as beautiful as you can imagine. With western exposure, sunsets are a nightly delight and the property is located within a short walk to the clubhouse which offers members golf, tennis, socials, spa, and a restaurant on site with some of sanibel's finest delights! Spectacular home in the sanctuary awaits you! This expansive lake front home features 4 bedroom plus den and 5 bath. The inviting foyer leads to the spacious living room with fire place and features large pocketing sliding glass doors. On the oversized lanai enjoy the sparkling pool, spa and waterfall with views of the lake teaming with wildlife. The lanai has full grilling and dining areas and is just steps to full pool bath. Filled with natural light, the first floor master retreat offer copious amounts of space for relaxing. The spa-like master bath features double-sided master sinks, jetted tub, and large shower. Lovely chefs kitchen offers abundant room for cooking and entertaining with large center island and breakfast room. Conveniently located on the first floor are 2 guest suites with baths. Additional bonus room on the second level also offers full bath. You will share a perfect evening with family and friends enjoying the beautiful sanibel sunsets from this lovely home. Don't miss this rare opportunity to own one of sanibels finest custom-built homes in little lake murex! A private winding driveway lined with royal palms and lush landscaping leads to this island paradise with all-en-suite 3 bedrooms, 3. 5 baths, office, great room, family room and over 3700 of living area. Additional features include elevator serving 3 floors, full house generator, impact-resistant glass and doors, high ceilings and doorways, warm hardwood floors and abundant storage. Spectacular kitchen features extended breakfast bar, prep island, lighted custom cabinets, granite counters, gas stove and dining area overlooking the lake. Great room with fireplace opens with pocket sliding glass doors to large covered decks with knotty pine ceilings. Master bedroom wing with stately bath, including steamist shower and porcelain tile floors, is fit for a king. Unparalleled lake views from all living levels, including extensive patios and wrap around decks, overlook the oversized heated pool and spillover spa, and may compete for your attention from the white sand beach at your deeded access. Manicured grounds are pet friendly with a 4' fence. This hidden treasure awaits you. Relaxed island living at its best with a luxury touch. 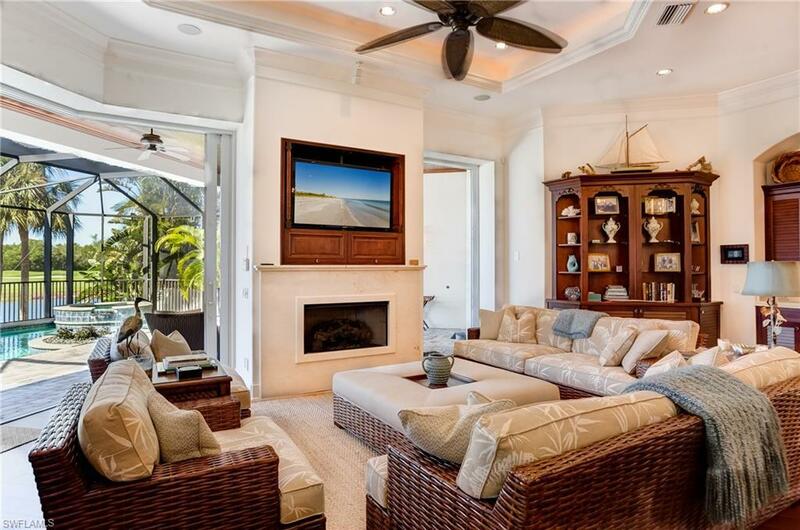 Spacious, covered lanais surround the pool & spa allowing amazing outdoor entertaining space. Desirable western exposure offers views of the lush landscaping, golf course & lake, throughout this lovely floor plan. Soaring tray ceilings & an abundance of glass bring in the natural light & outdoors. Stunning cypress wood study opens to a private garden. The master suite is an oasis w/ a sitting area & a huge custom walk-in closet. The formal dining room has french doors leading to an outdoor patio & is currently used as a guest room. The open kitchen, dining & family room areas were updated in 2015 w/ceramic wood tile flooring, custom cabinetry, built-ins, granite counters & new appliances. Main guest bath redone in 2016. The sanctuary is a private equity golf club w/ incredible amenities, but membership is optional. Minutes to sanibel's bike paths, the ding darling wildlife refuge, 1. 5 miles to bowman's beach & a quick drive to captiva. Large trees in the backyard give you just enough privacy, yet afford beautiful views. Easy to update where desired. More pics to come! Could this be your new island home? Beautiful custom home in a great location in beachview. Panoramic water views of the lake and expansive views of the golf course. Surrounded by lush vegetation and mature fruit trees. This 3 bedroom 3. 5 bath pool home offers beautiful appointments throughout. Gourmet kitchen with custom cabinetry, top of the line appliances including a viking range and hood, sub-zero refrigerator and granite counters. Large great room with fireplace, soaring ceiling & custom tile. Large deck overlooking the heated pool & spa. Spacious master suite w/large glass shower, tub and walk-in closet. Beachview offers a semi private golf course, pro shop, restaurant and deeded beach access. Owner is a licensed florida realtor. Artwork does not convey.